Hi, it's Gini. I really like the bold graphic of this Contemporary Floral stamp from Technique Junkies, and wanted to design a card that stayed true to the modern feel. I stamped the image once with black Staz-on ink, then I spread colors of distress inks on my mat and spritzed with water, then used that to stamp over the base image. 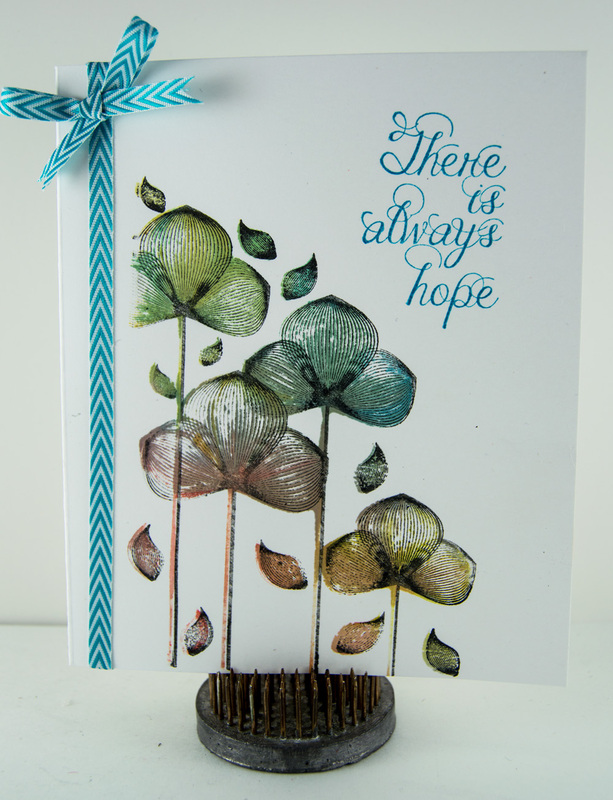 The card was finished with the Always Hope stamp. Both of these stamps were new releases for August.